International supermarket chain Lidl has spoken of its delight to be planning a new store for Horsham. The German retailer announced today (May 25) it had submitted plans to build a new store at the site formerly home to Dreams in Foundry Lane. 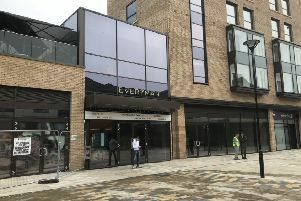 It is set to create a ‘modern high quality building’ which will offer 1,800 different product lines to shoppers in the town. Lidl UK’s Regional Head of Property, James Mitchell, said: “We are delighted to be proposing a new store in Horsham, which marks another milestone in our ambitious store expansion programme.